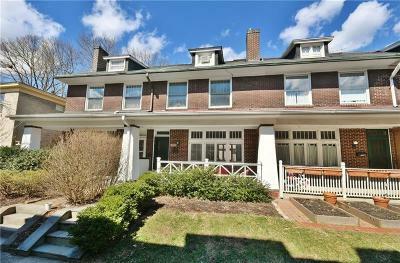 Wonderful location in the heart of Shadyside within a historic pleasant community. Walking distance to Whole Food, Market District & Walnut Street business strip with eateries and boutiques. This lovely home is filled with charm and character such as fireplace, original woodwork, extra wide staircase and built in bookcase. Updated kitchen with granite counter top open to the dinning room, a perfect place for gathering. Spacious master bedroom has double closet. Hall bath has a unique skylight. Cozy yet spacious 3rd floor with a full bath can be used as family room, play room or study room. Finished game room offers a full bath as well. Sip a cup of tea/coffee, read your favorite book or have a glass of wine at your inviting front porch, a serene place for outdoor enjoyment. Newly renovated patio and quaint yard is another cheerful place for gatherings, BBQ and gardening. Well maintained and updated home. Open floor plan & neutral decor with move in condition, a place to call home.